At the end of 2018 we’ve launched our free and opensource dashboard on GitHub, got 400+ stars for 1 week and reached №1 in typescript category and №8 on #GitHub trending for the 24 hours. In this article, I want to show how dashboards (admin templates) can help your business and save up to $25 000 on development. 2. Who would use such solution? 3. Pros of using dashboards. The dashboard is pieces of UI that integrate data from multiple components into a useful display, by which a user can check key information at a glance. For example, you have a website which provides options for users to log in and manage some data or place an order for a product that you offer. All these tasks are done on the user's side (or on the front end of the site). If you want to manage all these data, user information etc, you need to have a back-end. 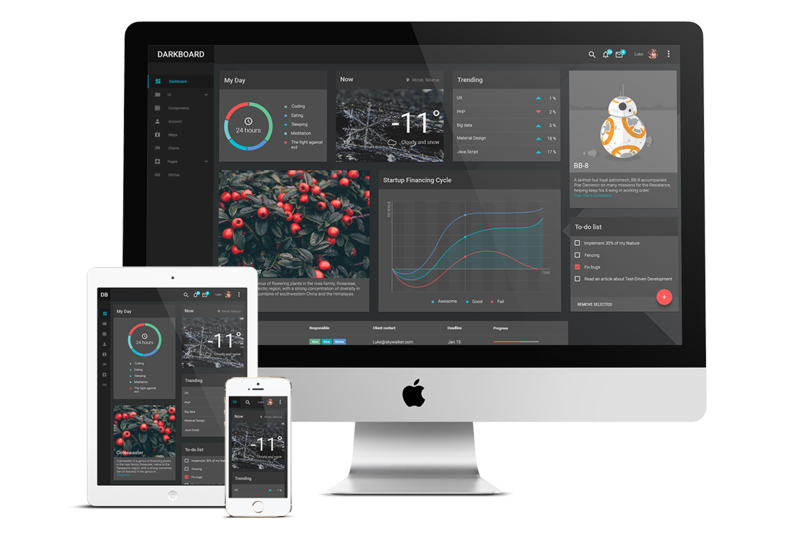 Admin dashboards help you to create a user interface of the back-end where you can view and manage the data, understand the trends, keep track of the statistics of the product or your website, which is essential in any business. For better understanding - using templates is like to buy IKEA furniture instead of hand made. Sometimes it’s even better because someone created a big part of routine job and you can skip two steps: creating a design and developing UI kit. If you don’t need an original solution you can use dashboard and save $15 000-$25 000 on development. Of course, you can spend 300+ hours on creating your own admin template but maybe it would be better to spend this time on those things that no one can do for you. If you need a custom solution or integration of our dashboard with your product write us on hello@creativeit.io. We are open to new projects! All content copyright CreativeIT © 2019 • All rights reserved.